It is sometimes claimed that the historical Buddha was unconcerned about the nature of reality. For example, the Buddhist author Stephen Batchelor has said, "I honestly don't think the Buddha was interested in the nature of reality. The Buddha was interested in understanding suffering, in opening one's heart and one's mind to the suffering of the world." Some of the Buddha's teachings appear to be about the nature of reality, however. He taught that everything is interrelated. He taught that the phenomenal world follows natural laws. He taught that the ordinary appearance of things is an illusion. For someone who wasn't "interested" in the nature of reality, he certainly spoke about the nature of reality quite a bit. It is also said that Buddhism is not about "metaphysics," a word that can mean a lot of things. In its broadest sense, it refers to a philosophical inquiry into existence itself. In some contexts, it can refer to the supernatural, but it isn't necessarily about supernatural things. However, again, the argument is that the Buddha was always practical and just wanted to help people be free from suffering, so he wouldn't have been interested in metaphysics. Yet many schools of Buddhism are built upon metaphysical foundations. Who is right? Most people who argue that the Buddha wasn't interested in the nature of reality provide two examples from the Pali Canon. In the Cula-Malunkyovada Sutta (Majjhima Nikaya 63), a monk named Malunkyaputta declared that if the Buddha did not answer some questions -- Is the cosmos eternal? Does a Tathagata exist after death? -- he would give up being a monk. The Buddha replied that Malunkyaputta was like a man struck by a poisoned arrow, who would not have the arrow removed until someone told him the name of the man who had shot him, and whether he was tall or short, and where he lived, and what sort of feathers were used for the fletchings. Being given answers to those questions would not be helpful, the Buddha said. "Because they are not connected with the goal, are not fundamental to the holy life. They do not lead to disenchantment, dispassion, cessation, calming, direct knowledge, self-awakening, Unbinding." In several other places in the Pali texts, the Buddha discusses skillful and unskillful questions. For example, in the Sabbasava Sutta (Majjhima Nikaya 2), he said that speculating about the future or the past, or wondering "Am I? Am I not? What am I? How am I? Where has this being come from? Where is it bound?" gives rise to a "wilderness of views" that do not help liberate one from dukkha. The Buddha taught that ignorance is the cause of hate and greed. Hate, greed, and ignorance are the three poisons from which all suffering comes. So while it is true that the Buddha taught how to be liberated from suffering, he also taught that insight into the nature of existence was part of the path to liberation. In his teaching of the Four Noble Truths, the Buddha taught that the means to be released from suffering is practice of the Eightfold Path. The first section of the Eightfold Path deals with wisdom -- Right View and Right Intention. "Wisdom" in this case means seeing things as they are. Most of the time, the Buddha taught, our perceptions are clouded by our opinions and biases and the way we're conditioned to understand reality by our cultures. Theravada scholar Wapola Rahula said that wisdom is "seeing a thing in its true nature, without name and label." (What the Buddha Taught, page 49) Breaking through our delusional perceptions, seeing things as they are, is enlightenment, and this is the means of liberation from suffering. So to say that the Buddha was only interested in releasing us from suffering, and not interested in the nature of reality, is a bit like saying a doctor is only interested in curing our disease and is not interested in medicine. Or, it's a bit like saying a mathematician is only interested in the answer and doesn't care about numbers. 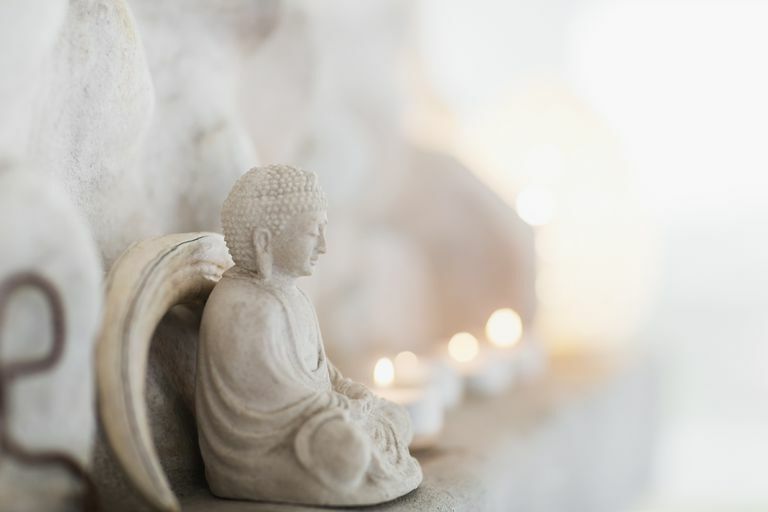 In the Atthinukhopariyaayo Sutta (Samyutta Nikaya 35), the Buddha said that the criterion for wisdom is not faith, rational speculation, views, or theories. The criterion is insight, free of delusion. In many other places, the Buddha also spoke about the nature of existence, and of reality, and how people could free themselves from delusion through practice of the Eightfold Path. Rather than say the Buddha was "not interested" in the nature of reality, it seems more accurate to conclude that he discouraged people from speculating, forming opinions, or accepting doctrines based on blind faith. Rather, through practice of the Path, through concentration and ethical conduct, one directly perceives the nature of reality. What about the poison arrow story? The monk demanded that the Buddha give him answers to his question, but receiving "the answer" isn't the same as perceiving the answer oneself. And believing in a doctrine explaining enlightenment is not the same thing as enlightenment. Instead, the Buddha said, we should practice "disenchantment, dispassion, cessation, calming, direct knowledge, self-awakening, Unbinding." Merely believing in a doctrine is not the same thing as direct knowledge and self-awakening. What the Buddha discouraged in the Sabbasava Sutta and Cula-Malunkyovada Sutta was intellectual speculation and attachment to views, which get in the way of direct knowledge and self-awakening. What Are Buddhist Teachings on the Self?